Home / Reviews / Impractical Jokers Season 1 DVD Review! Check Out This New Reality Series Airing On TrueTV! 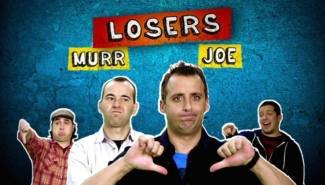 Impractical Jokers Season 1 DVD Review! Check Out This New Reality Series Airing On TrueTV! When it comes to reality television, I usually make it a point to avoid any of the usual programs. Time is short and honestly, you have to be choosy in what you watch right? However, Susan told me about this series called Impractical Jokers that she fell in love with. Sal, Joe, Murr, and Q and four friends who have spent years pulling practical jokes and stunts on each other. Now, they have put their past time in front of millions of Americans in their first series for TrueTV. In each episode the four friends to compete to win challenges and not be the biggest loser. The loser has to compete whatever task the other three make him do. Tasks like stealing someone’s underwear at a laundry mat and putting it on their head, reading a book without words in front of a book club, or do a presentation off the cuff in front of the largest real estate agency in the city. Each challenge pits the guys against each other in a series of odd challenges. Things like taking a survey that the other four guys have written and asking them to strangers. The person asking the survey questions only know what they are asking once they find an unwitting stranger. Another task forces one of the team to talk to strangers using only the words of the other three guys who are talking via an earpiece. While none of these challenges are groundbreaking or anything new, it’s the chemistry of the four guys that keeps the show moving forward. There’s always something fun about watching friends do things like this as opposed to random strangers. 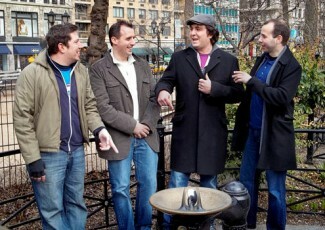 There’s a certain shorthand that old friends have and it really makes Impractical Jokers a fun series. My favorite out of all the guys is Sal. I thought for a second that he was going to always wind up with the short end of the stick each episode, but finally he started showing some skill and by mid season he became a real competitor. The other guys are a trip to watch as well. “Q” in particular is fun to watch being put into uncomfortable situations. The nice thing about the show, is that each guy has such a different and unique personality. It really does make the series a fun, if disposable series. 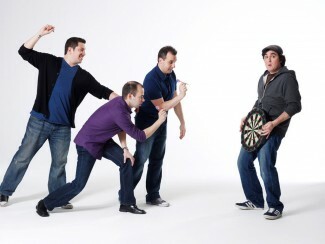 Impractical Jokers season 1 boasts some fun bonus features including commentary on five episodes, some deleted scenes, a behind the scenes featurette, and a meet the stars of Impractical Jokers short. The commentary tracks are fun and the behind the scenes featurette does reveal a little bit more about the series. It was fun to see how people react when they find out it’s a series and not actually real. There are some really fun reactions, I have to tell you. 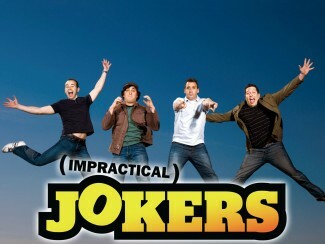 Overall, I would suggest checking out season one of Impractical Jokers. It’s really a fun show with a great group of guys! 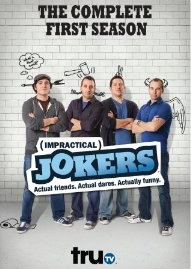 Impractical Jokers season 1 is out on DVD November 26th! The White Princess Blu-ray Review! 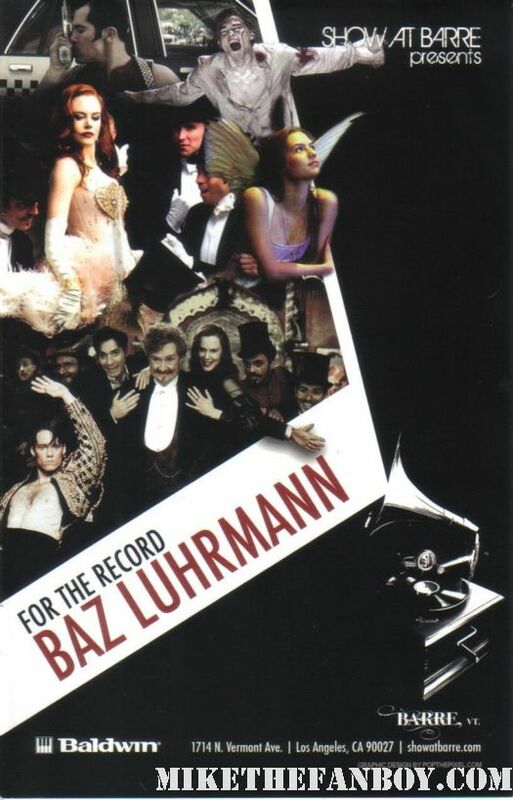 Show At Barre’s For The Record: Baz Luhrmann Review! The Red Curtain Trilogy Live On Stage! Sal is definitely the sweetest one and he loses a lot because of it. Joe is my fave – he is fearless, he will do or say anything! I hope you all check it out on Tru TV or on DVD. Youtube the one where the are checking at out Costco. It’s one of the best!